Whenever Marshmallow returns from Taiwan for the summer, it calls for a reunion of sorts. That means we gather with friends we haven't seen for awhile for food. Hey, that sounds really good to me. Who cares about the friends, let's bring on the food. Better yet, let's salivate over the variety of eats since it means a big group. We already did that on my revisit of Sun Sui Wah for Dim Sum; however, a few key people were not available. Oh, that's no problem... Let's just meet up again... for food! There was one hurdle this time around though. 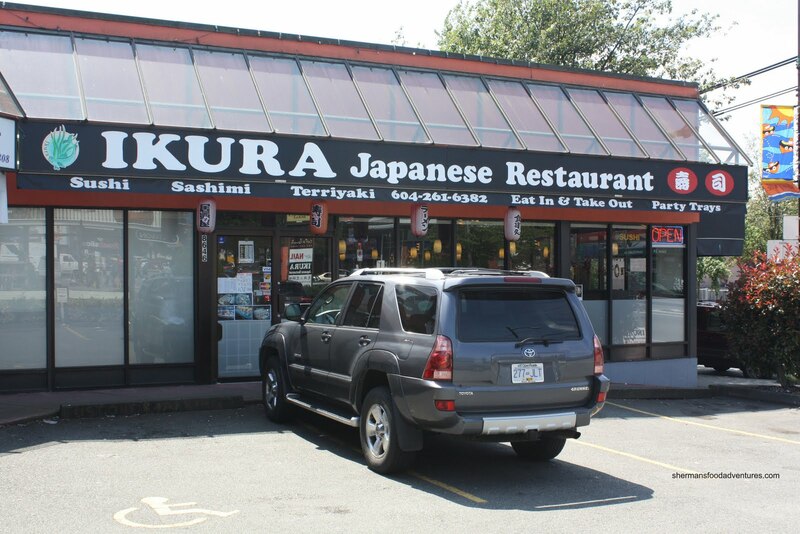 Due to scheduling and locational issues, we had to pick a Japanese restaurant near South Granville. At fir st, Applause came to mine; yet that would be impossible since it is super busy during lunch and it's not a very big restaurant. Finally, we settled on Ikura on Granville near 70th. I originally called the day before at 1:30pm to make a reservation for 12 people at 1:00pm. That was an exercise in frustration because the person on the phone didn't seem to understand me. Well, apparently she didn't because they thought the reservation was for the same day at 1:00pm. Uh... How can that be possible when I'm calling at 1:30pm??? Do we turn back time? Okay, w here is the Hot Tub Time Machine when you need it. Okay, fine, they can't tell time, that's forgivable. After all, no harm no foul. Finally settling in, we went about our ordering. Viv and I ended up not sharing any food because we weren't sitting with each other. 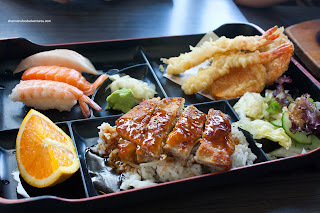 I usually do not order a bento box when we have such a large group; but with sharing not really an option, I settled on Bento Box D. Postman also had the same box and we were both a little confused why our tempura was missing. The box was already filled up with food, so there was really no room for the tempura. I inquired about the missing tempura with our server and she looked rather confused too. We finally got our tempura as we were almost finishing up our box. We did have a large table, so it is understandable things could be missed. 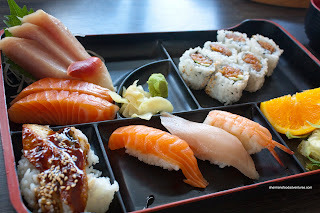 As for the items in the box, the sashimi was not bad. It was texturally and visually appealing. 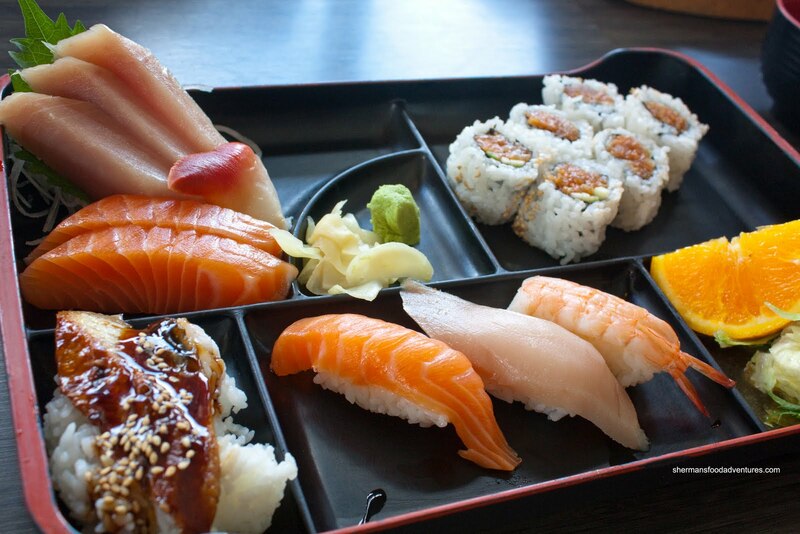 The same could be said about the nigiri where the fish-to-rice ratio was good. The rice itself was a tad dry; but decent. 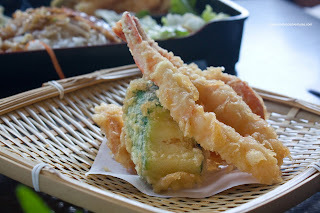 The aforementioned tempura was pretty good as well having a light batter which was crispy and not too greasy. Viv had the Bento Box A and it is worth mentioning that the Teriyaki Chicken was pretty dry and thin. She did like the fact the rice was chewy while there was not an obscene amount of sauce on the chicken. 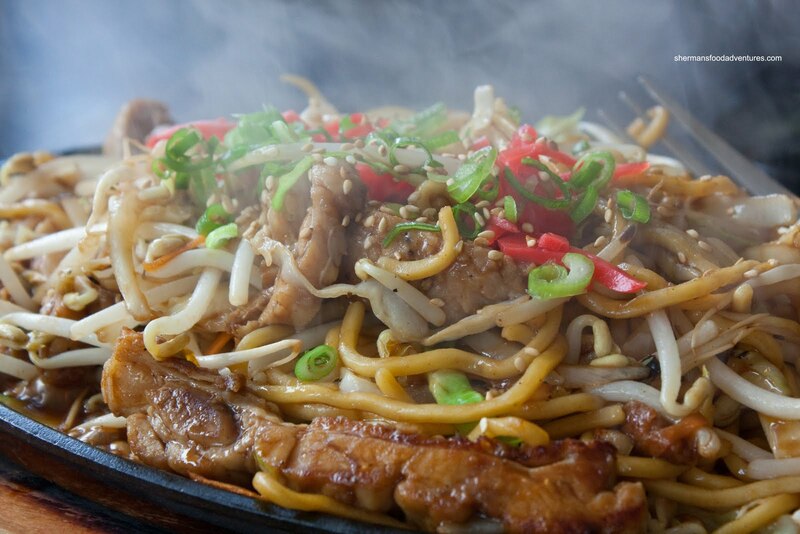 For the kiddies, we got them an order of the Yakiudon. When it arrived, our server was once again confused. She declared it was a yakisoba and served it to ML500 who had ordered it. 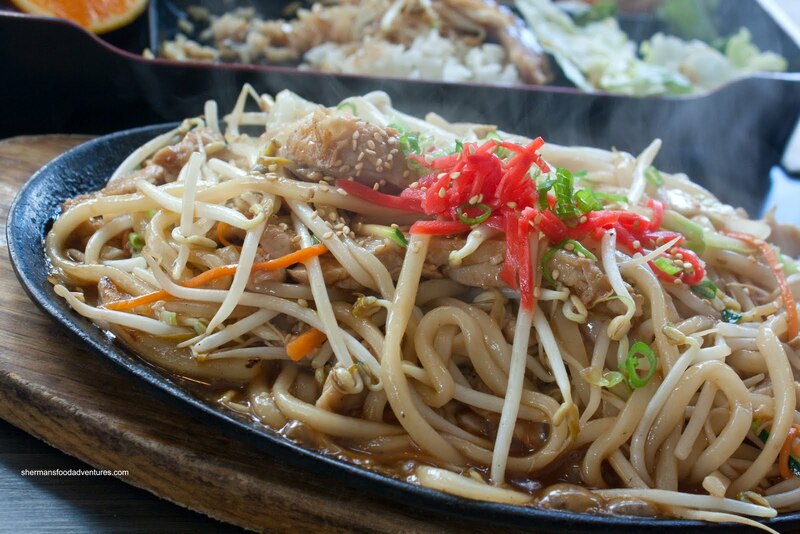 She looked at our server and stated it was not yakisoba. Viv and I chimed in by saying it was our yakiudon. Our server didn't seem to believe us and checked with the kitchen. After that fiasco, she finally gave us our yakiudon and the yakisoba to ML500. Well, the wait was not really worth it as the yakiudon was kind of wet and bland. The Yakisoba was marginally better with more colour and flavour. It probably helped that it was less wet too. Despite all of the other food we had at our table, it was impossible to try it all. So, the only maki roll that I sampled was my own being the spicy tuna roll. It was decent with above-average sushi rice and tuna which was relatively spicy. Postman ended up ordering the Pink Lady which definitely warranted the name. Consisting of cream cheese, avocado and salmon with tobiko and smoked salmon on the outside, it only elicited an "okay" out of Postman. I guess it was average? 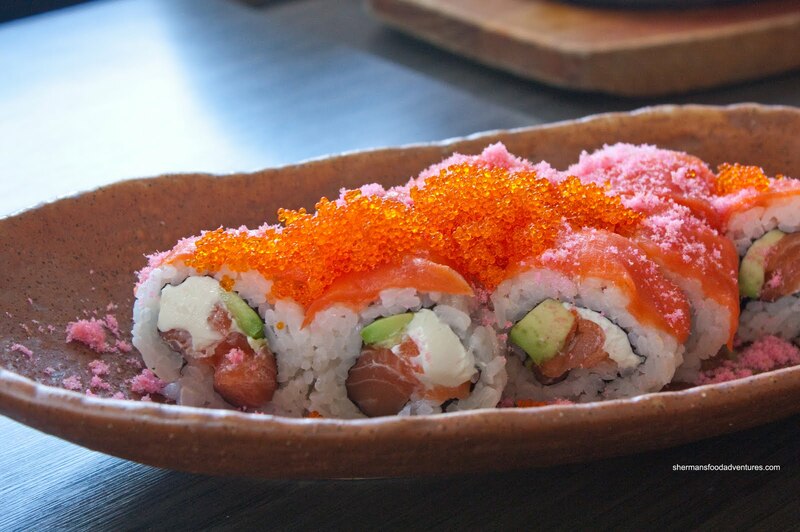 For me, I'm not a huge fan of cream cheese in sushi, so I would never personally order this. In general, the food didn't offend too much and in fact, on most levels, was decent for the price. 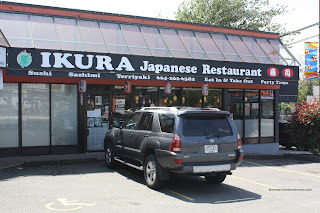 As mentioned earlier, I'd hit up Applause instead; but Ikura can fit the bill too in this area. The one thing they might want to consider is to either hire more capable staff or at least train them better.